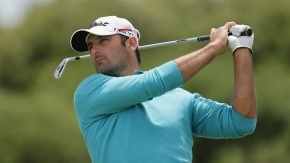 This last weekend, I had another top ten finish at the BMW New Zealand Open at Clearwater Resort in Christchurch. I played pretty solid throughout the four days and but for a couple of challenging holes, I could well have been in the reckoning for the title. In a strong field, it was amateur Jake Higginbottom who showed real composure to take the win. He was defending his leading amateur title and came in on the back of being the leading amateur at the Talisker Masters.